Shopping for Top Gun Bed and Bath? Is someone you know a "top gun," at least in your eyes? 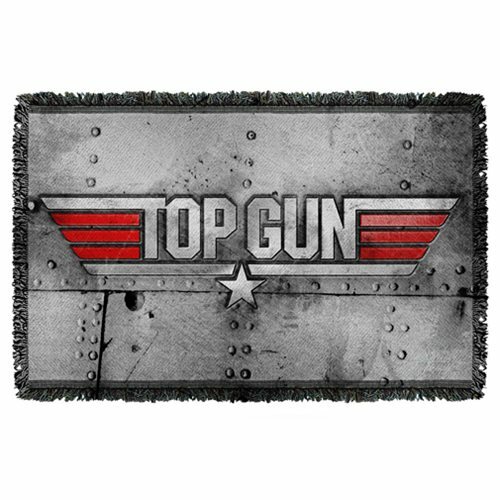 Then let them know by gifting them this fantastic 58-inch wide x 36-inch tall Top Gun Logo Woven Tapestry Throw Blanket displaying the movie's logo. Maverick thinks that's a great idea!